Significant cost savings can be achieved without compromising asset integrity, by using a data-driven, risk based approach to defining inspection intervals instead of the traditional standardised approach. The Astrimar pRIOriti-AIM software enables the actual asset condition to be efficiently reflected in the estimation of failure probability to form an effective basis for implementing a risk based approach. 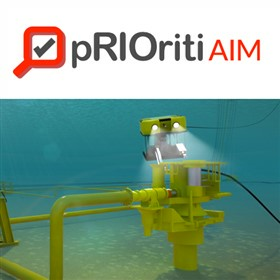 pRIOriti-AIM uses an innovative state-space technique, to make efficient use of all historical condition data available for a specific asset, from inspection, test and monitoring - both data related to equipment with observed anomalies and equipment items for which no anomalies have been observed. The tool provides a rigorous, yet efficient, statistical approach for estimating the probability of equipment items being in a degraded or failed state, effectively reflecting the actual condition of the asset. Failure consequences and risk acceptance criteria are used to define an acceptable probability of failure and hence determine optimum risk based intervals for inspection, testing and monitoring activities. By making best use of data, the Astrimar approach provides an efficient, objective and quantified basis for reducing non critical inspection and/or testing, allowing smarter use of resources focussed on the most critical assets and sub-systems. The asset specific failure estimates can also be used to update asset reliability, availability and risk assessments, including IM and Sparing assessments. Astrimar can support implementation of pRIOriti-AIM with system segmentation, failure mode analysis, data sorting, classification and population of asset databases, and more. Please contact us to arrange an online demonstration of the software.